*8cm of fresh snow has fallen in the last 24hrs just outside of Hirafu Village. At 7:00 today the temperature was 1°C. 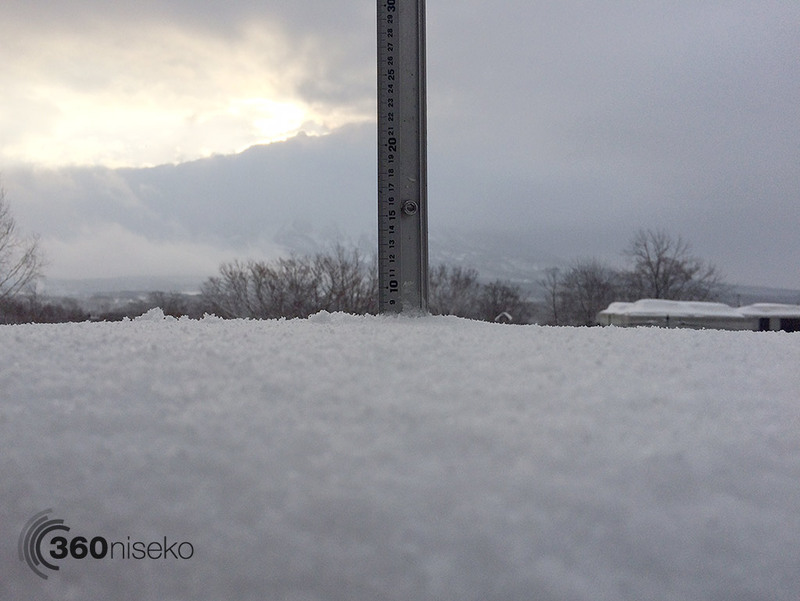 Heavy cloud cover, light snowfall and warmer conditions in Niseko today. There has been a solid layer of wet snow at village level so we can expect some great snow at higher elevations. The cloud cover will keep the snow if good condition so have fun exploring out there today. Please be on your guard and read the avalanche report especially if you go through any of the gates. Be prepared for all situations and carry the recommended safety gear – beacon, shovel and a probe.